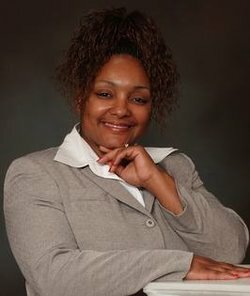 Evangelist Shevelle Ford is an aspiring author and co-founder of Higher Grounds International Worship Center, where she serves as CEA (Chief Executive Administrator). She is a native of Phoenix, LA., The tenth of ten children of the late Rev. Dr. Percy Murphy and Irene Williams Griffin. She is married to Bishop Joseph “AJ” Ford, founder and Senior-Pastor of Higher Grounds International Worship Center. They are the proud parents of two children, Trinity and Joseph Anthony (AJ). Evangelist Ford not only ministers the Word to the spirit-man, but she also has a pharmacy ministry that offers free home delivery of pre-scriptions to patients throughout the state of Louisiana. Shevelle is a graduate of Xavier University, New Orleans, LA, where she re-ceived her degree in Pharmacy in 1993. She is a Captain in the Unit-ed States Army Inactive Ready Reserves (IRR). She loves to cook and desires to open her own res-taurant. Ministry is her passion, and at this juncture in her life, she has committed to preaching the Word of God full-time.